None of the movies had anything to do with the other. 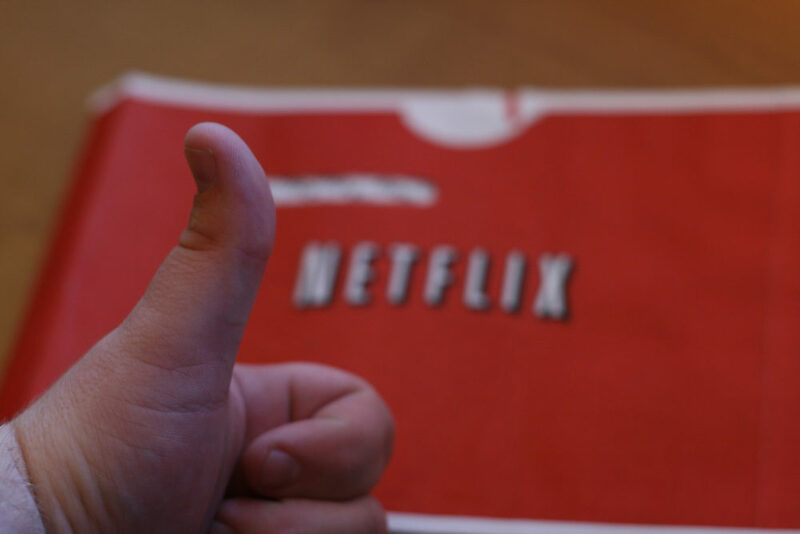 I was just in the mood for some DVD documentaries this weekend, so I sent some movies to my Netflix queue, planted myself in the couch, and with remote in hand I was glued to the TV set watching these pretty amazing DVD documentaries via Netflix live streaming. I have to say, I am sooooo glad I saw each of these movies for myself — without hearing about them from other people first. I’m not for or against any of them or the things they stand for. I’m simply one who likes to have an open mind and be aware of others’ points-of-views and how they impact mainstream America. These 3 movies do just that! The Business of Being Born had a lot of eye-opening moments in it for me. One thing’s for sure: if I were pregnant (or thinking about getting pregnant; I’m neither), I would definitely want to see this movie before giving birth! If you or someone you know is pregnant and torn between a hospital birth and a home birth, then you’ll want to see this movie. Afterwards, use the information in it to make your own decision that’s best for you. I like movies like that — movies that make me think without forcing a particular viewpoint down my throat. Well, actually some would say each of these movies does just that — forces a very specific and unique viewpoint down your throat. To them I say, “Not if you simply have an open mind and watch the movie for what it is: an alternative point-of-view.” Alternative viewpoints are always helpful when it comes time for you to make your own informed decisions. Don’t you think? 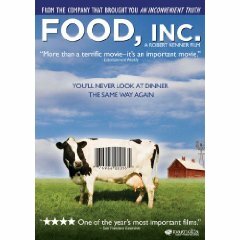 Next up, and also my second favorite from this list of DVD documentaries was Food Inc. I learned a lot about how chickens are processed — from birth to your table. I learned other interesting facts about the corn industry, beef and pork industries, and how food in general gets into grocery stores. It was eye-opening, that’s all. I’m not a vegetarian. Probably never will be. But there are lots of good reasons in here to consider being a vegetarian, that’s for sure. For me (and Jim — I got him to watch this one with me), we are simply going to try to buy locally more often — not as a rule, but as a preference — and see where we go from there. I simply like that I’m aware of these things now. I was shopping blindly in the past, and eating blindly as well. Now I have a better idea of how food comes to be in America. My least favorite of these 3 DVD documentaries, but interesting nonetheless, was Jesus Camp. It was overkill in a lot of ways — in terms of showing how one group of kids were taught at very young ages to live their lives for the Lord. Still, some of the children in the movie left a lasting impression on me. In the end, I was reminded of this one simple fact: kids are the way they are because of how they were raised. Period. Whether they’re good kids or bad kids or Bible-thumpers or drug dealers… their influences in their earliest years of life have such a huge impact on their viewpoints, their experiences, and how they will live their lives as adults. As an adult, you only know what you know based on your life experiences up to that point. The kids in this movie only know how to be that way because they’ve been taught to be that way. It’s as simple as that.